It surely was my “Destiny” to get the first heads up interview with Chaka Khan who graced the front cover via the aid of my longtime friend Dj and west London Perivale manor neighbour Cleveland Anderson. 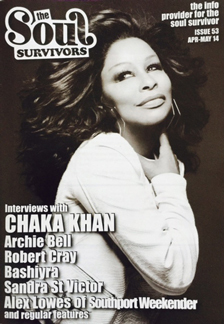 It surely was my “Destiny” to get the first heads up interview with Chaka Khan who graced the front cover via the aid of my longtime friend Dj and west London Perivale manor neighbour Cleveland Anderson. 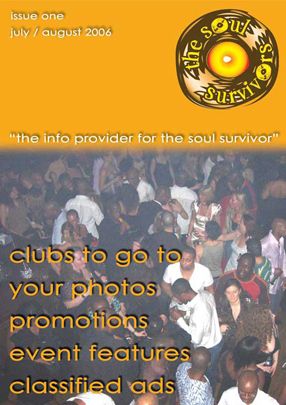 Chaka was doing Southport and we got the exclusive being offered 20 minutes that I manage to turn into fifty lol. I do seem to have that knack. We also spoke with UK songstress Bashirya, Alex Lowes for the second time, blues artist Robert Cray, Family Stand front girl Sandra St Victor and Mr “Tighten Up” Archie Bell.